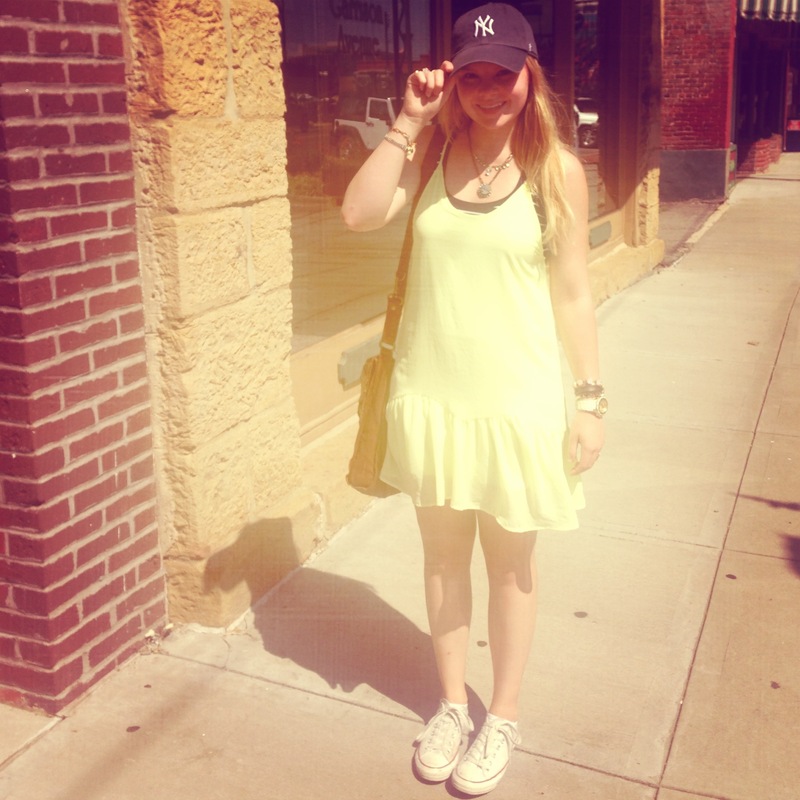 An old Savoir Fare dress, with an okd navy/white striped racerback tank, my trusty converse, and my newfound love Yankees hat! That’s it for tonight-until tomorrow! 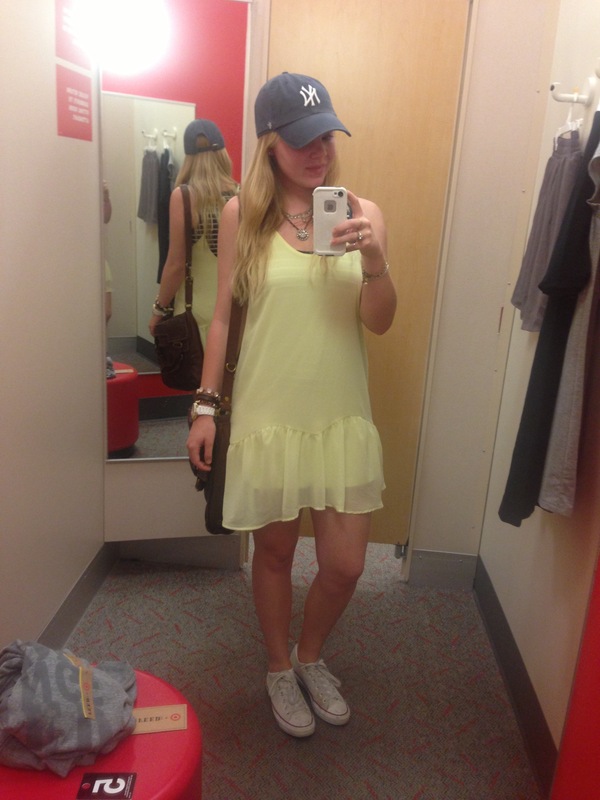 Posted on August 1, 2013 August 1, 2013 by flancake13	This entry was posted in what I wore and tagged ootd, what I wore, yankees. Bookmark the permalink. Very cute, I love the yellow color of your dress! Thanks so much! It’s from a local boutique-Savoir Faire, they have an online store-you should check them out!